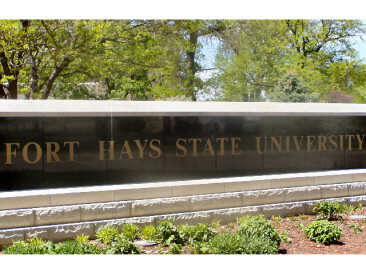 Staff from Fort Hays State University’s Kansas Academy of Mathematics and Science will host six free information sessions across the state for interested students and their families in February, March and April. The Academy offers high school juniors and seniors an opportunity to live and learn at Fort Hays State University and get a head start on their college educations. Students and guests can learn about KAMS and visit with representatives from the Academy at these sessions. Please visit the registration website at http://www.fhsu.edu/kams/Info-session-registration/ to find a session in your area. All information sessions are free and open to the public. For more information, contact Abby Anderson, coordinator for marketing and recruitment, at 785-628-4719 or [email protected]. Visit www.fhsu.edu/kams for more information regarding the program.